We are actively engaged in offering qualitative Phyllanthus Emblica(Amla) for catering the diversified requirements of our clients. 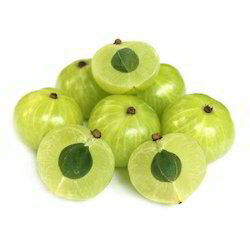 Amla (Phyllanthus emblica) also called Emblica officinalis or Indian Gooseberry is a medium-sized deciduous tree. The tree is found growing in the plains and sub-mountain on tracts all over the Indian subcontinent. Amla fruit is pale yellow to green in colour and is a depressed globose with six vertical furrows. One of the most important fruits in Ayurveda, the fruit grows well in a warm climate. It is known to be a rich source of Vitamin C. So much so, that one small amla has as much Vitamin C as 2 medium oranges. Packed with compounds like polyphenols, minerals like Iron and zinc and vitamins like Carotenes and Vitamin B complex, amla can definitely keep a number of diseases at bay. 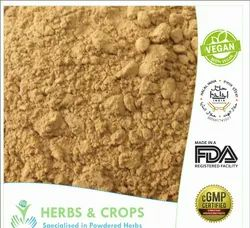 Our wide range of fresh Amla is cultivated by superior quality seeds and fertile soil which results in large production of these vegetables. These are completely fresh, clean and healthy for human health. The Amla offered by us is highly nutritious and is packed in a hygienic packaging material to retain its original color. We offer phyllanthus emblica churna that is a constituent of many hepatoprotective formulations. Widely used in treatments of various diseases, our range is widely appreciated by our clients spread across the globe.